Home > Blog post > How Long After Hip Replacement Can I Fly? Hip problems are no surprise when you consider the pressure we put them under over a life time! But it still might surprise you that a whopping 80,000 people have hip replacements each year in just England and Wales. So you asked, and we have answered! Read on for a guide to managing your hip replacement before, during and after you fly – so that you can start your holiday with your best foot forward. So what are the risks of flying after a hip replacement? The good news is, as early as a week after your hip replacement surgery, it is safe for you to take a short flight. This is important because you are then at greater risk of having deep vein thrombosis (DVT). What’s a DVT? Its a type of blood clot which develops within a deep vein in the body, usually in the lower legs. Aside from these medical concerns, there’s also the logistical issue of getting round the airport before your flight and roaming freely at your destination. 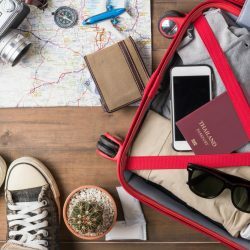 Book an appointment to see your doctor before you go, and let them know when you’re planning to travel and how long for. 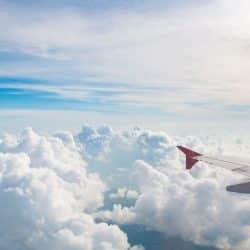 If your doctor believes you’re particularly at risk of developing a clot after your surgery, it may that you’re prescribed blood thinning medication for during your flight. Also, if you’re new hip is causing you some discomfort, make sure you have enough pain relief medication for the duration of your trip. Don’t be shy to ask for help if you need it! 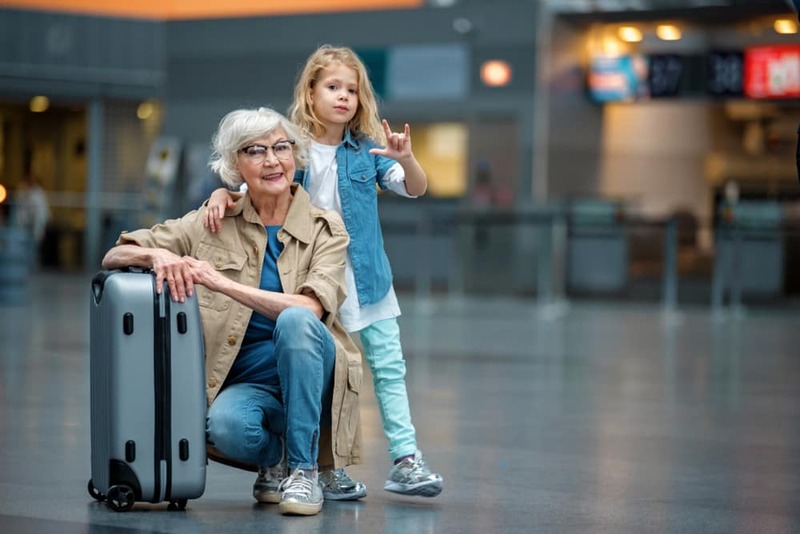 Major airports can be rather large and simply walking to your gate can become a strenuous task after a hip replacement – especially if you’re carrying luggage. Call your airline or tour operator in advance and you might be surprised with how much mobility assistance they can provide. They could have a wheelchair ready on arrival and a possibly fast track of queues. Were you prescribed blood thinning medication or pain relief? Don’t forget the obvious step of packing them in your hand luggage! Pack a bottle of water as well – remember that staying hydrated reduces the risk of your blood thickening and therefore a blood clot. Choose a seat with leg room to improve blood circulation. Pay a little bit extra if needed, or see if informing your airline about your hip replacement works. The airline may even provide you with other benefits like extra pillows or blankets. If you did forget to book that seat with leg room, still try and get an aisle seat! Avoid drinking alcohol: Remember that alcohol can dehydrate you too, and avoiding it is key to stopping your blood flow thickening. So you’ve made it past the scary part of flying, and now it’s time to actually enjoy your holiday! Is it too soon for long walks? Make the most of bus and boat tours! Enjoy the flop and drop holiday approach more than ever. Consider a lounger by the pool rather than a swim in the ocean, and you might just get used to it! So if you’re getting ready to book that holiday, remember specialist hip replacement travel insurance to really let you travel with peace of mind. After all, the average cost for a medical claim is over £1,300 – but imagine how much the claim cost would be, if you needed an emergency air ambulance home from your holiday. For one unfortunate Brit recently, it was a medical bill of £760,000 while visiting America! An important detail to note about travel insurance for your hip replacement, is that you will need to declare the medical condition which caused the need for the operation. What if you’re on a waiting list for another hip replacement? We ask this question, because it can affect your eligibility to get travel insurance. Some insurers won’t offer cover at all, but fortunately, Waiting List Cover is available from specialist providers. This benefit lets you claim for cancellation of your trip, if the surgery date coincides with your holiday. Want more information on hip replacement travel insurance? 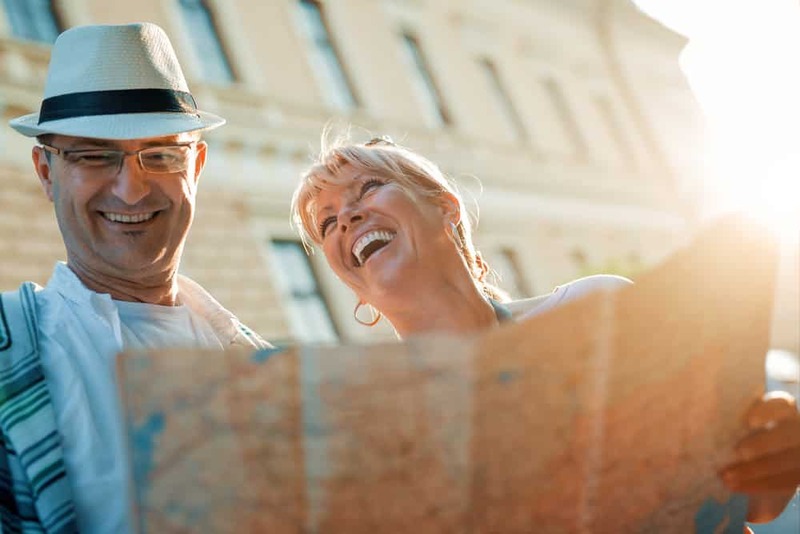 Read our hip replacement travel insurance guide.